After a solid weekend at the Millan World Cup on the weekend we fly up to Estonia in good spirits. Thursday was spent mostly travelling from Seefeld, in Austria to Otepaa, in Estonia. Finn drove the team van with Cal and I to Munich airport where we then flew to Riga, in Latvia then onto Tallin, in Estonia. We then had a bit of a wait in the airport for the Slovenian team as their flight was delayed, once they arrive we jumped on a bus and took the 3hr drive into Otepaa arriving at 12:30 that night, not ideal prep leading into a World Cup but anyway. On Friday we sussed out the course which I was pretty happy that there was more striding than I had anticipated from watching previous race footage. I received some loving from OneWay as they replaced my broken poles which was awesome. I was happy with the course, the grip and how I was feeling in general and went into the race day with confidence. There were a few skiers from Latvia, Lithuania, Kazakhstan and national group skiers with worse FIS points than me so I wasn’t the worst ranked skier like I was the week before and I was keen to hold my rank and hopefully not come last. In the warm up I was feeling good, I had plenty of grip and my skis were running pretty quickly. Callum was ranked 1 place ahead of me and started 15 secs in front. This was good as I could gage how I was going on the two switchbacks on the course. I skied the first two thirds of the course well, striding both hills and doing it as well as I could possibly have. I believe I lost most of my time in the final third of the course as it is a long gradual double pole section and my double pole isn’t the strongest part of my skiing that’s for sure. Although I felt I skied O.K. in the end it was quite a devastating result as I ended up signing the list in last place. I don’t think I could have really gone any faster on any parts of the course I just got a genuine pumping! 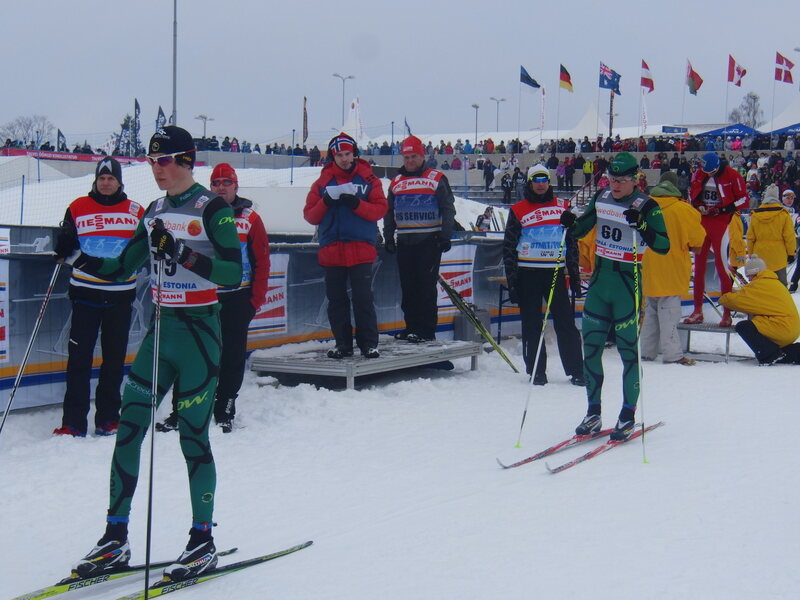 A lot of the men opted to race on skate skis and just smash out the double pole for the whole race but I didn’t have the strength to do that, so never even considered it. Esther was the only lady to double pole the whole course on skate skis and gained a lot of respect and a solid result from doing so. Callum was a fair way ahead me but from what I believe he would have liked to be a little further up the list as well. 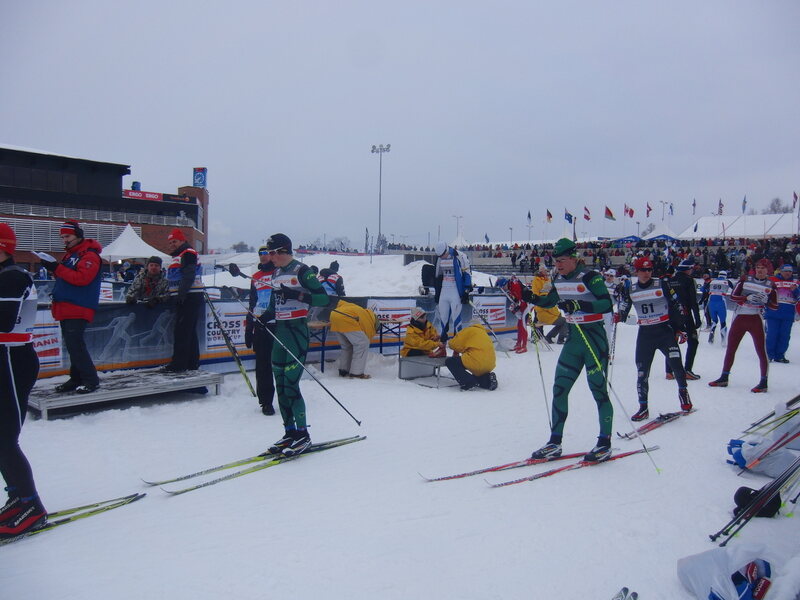 The next day Callum raced in the 15km classic and skied like an absolute boss. Watching him on a super hard section of the course I thought he was going to blow as he wasn’t holding back on the first lap and looked as though he was already hurting pretty bad. Although like the A-grade chief that we know he is, he held the same speed for the remainder of the race finishing ahead of quite a number of skiers. For now we are heading back to Seefeld in Austria for a day or so before we head to Austrian Championships in Bad Ischel which is three day of racing starting on the Friday with a skate sprint then followed by a 10km classic and a 20km skiathlon on the Saturday and Sunday. 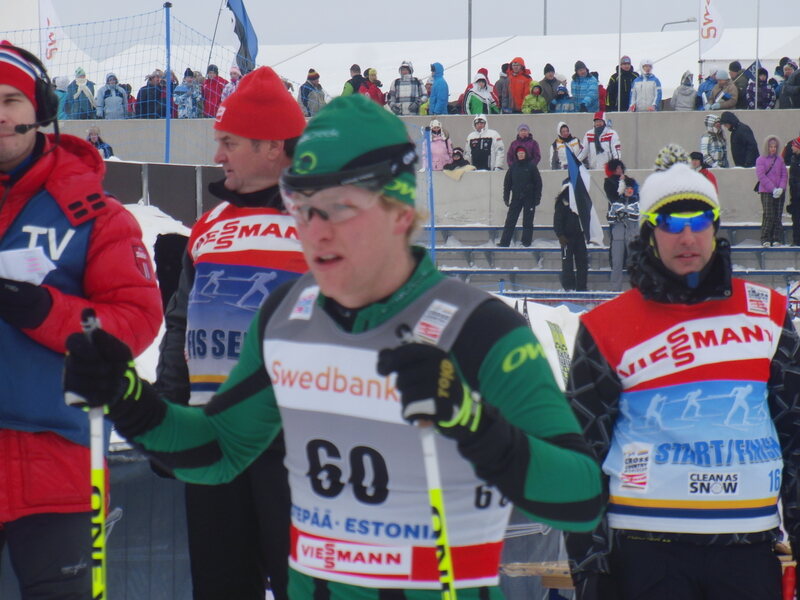 This entry was posted on January 23, 2012 by Phillip Bellingham XC Ski. It was filed under Uncategorized . Well done to you and Callum – sounds like a tough course with hot competition; but all a great experience to learn from. Keep up the good work Phillip and all the very best in Austria. Keep the blog posts coming Phil. They are a great insight into the life of a first time World Cup athlete. There is a lot your younger Vic Squad members can take from your experiences. World Cups are a pretty steep learning curve. Those guys really exploit any weaknesses you have in your technique with their ridiculous fitness. Try not to get too overwhelmed. Most of these guys don’t balance Uni, a job and driving 5-6 hours to the snow every weekend. You’re doing well boy, keep it up!